Dr. Reiss is a board certified eye physician and surgeon. Dr. Reiss is fellowship trained in glaucoma and has extensive experience with advanced cataract surgery techniques. He is a long-standing clinical research investigator for emerging glaucoma devices and medications. 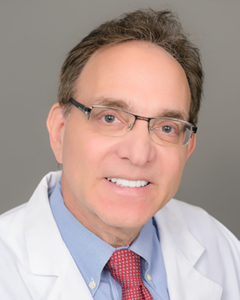 His medical background includes receiving his Medical Doctor degree from the State University of New York with an internship at Winthrop University Hospital in Mineola, NY, and residency at the Mayo Clinic in Rochester, Minnesota. Dr. Reiss received his glaucoma fellowship training at the University of Illinois Eye Center in Chicago. Dr. Reiss has practiced ophthalmology in the Valley since 1986 and served as the President of the Phoenix Ophthalmological Society in 2007. He previously served as a clinical instructor for at the Mayo Clinic-Minnesota and Wills Eye in Philadelphia. He has served as a consultant for many professional sports teams including the Phoenix Coyotes, Phoenix Suns, Mercury, and Rattlers.